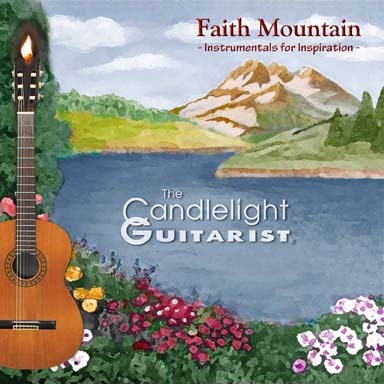 The story of The Candlelight Guitarist is a mix of family, faith, music and mission. Bradley Powell was born in 1955, the third child of Hayward and Dorothy Powell. Brad's father and uncle--Hayward and Channing Powell--were inventors/entrepreneurs, operating a business that created and manufactured (over a period of decades) Powell Radios, Powell Scooters, and the Powell Sport Wagon --a "car-truck" hybrid that preceded the Ford Ranchero and Chevy El Camino by two years. 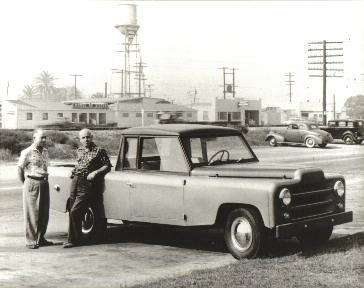 In 1954 photo at left, the brothers are standing by a Powell Sport Wagon, with truck innovations such as the fleetside bed, and the extended cab. 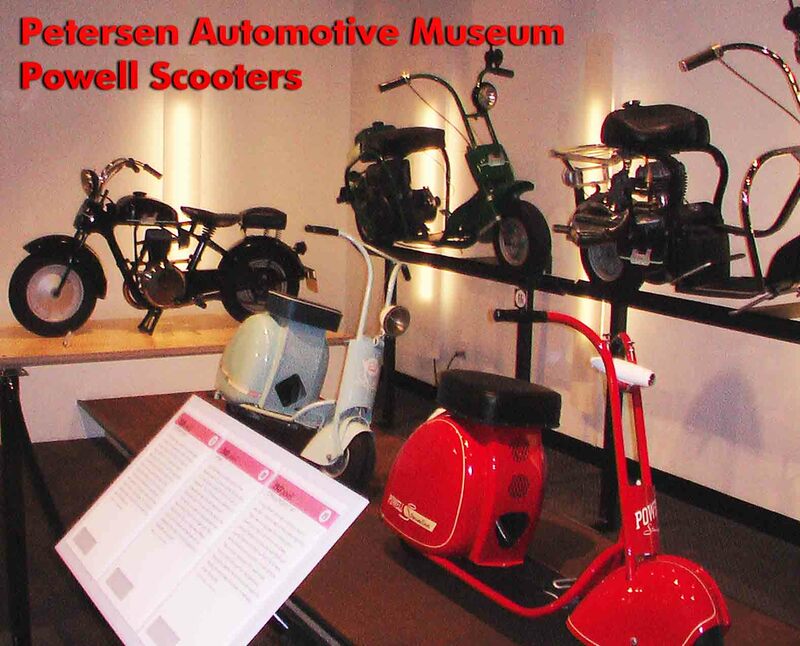 In 2011 and 2012, the Petersen Automotive Museum in Los Angeles had a major SCOOTER EXHIBIT, featuring several Powell scooters built from 1938-1949 (some of those in the exhibit are shown at left). The Powell Brothers really thought "outside the box" and were a major influence in Brad's creative outlook ...always thinking is there another way to look at this? Brad's mother Dorothy also has artistic skills that later blossomed... she started painting in her mid-fifties, after Brad's father passed-away. 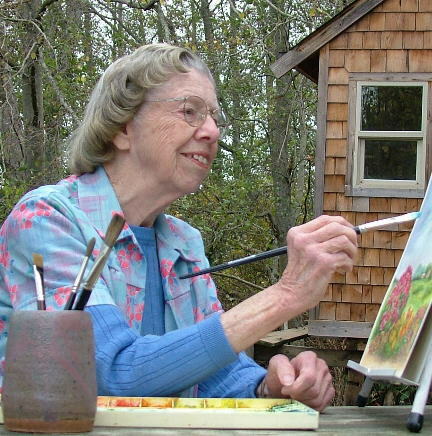 Dorothy is still a prolific painter and active in her community. 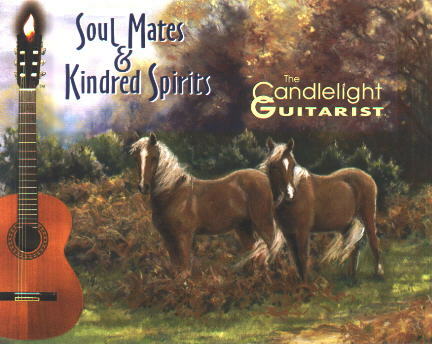 (And her artwork is featured on three of Brad's CDs--with more soon to follow.) The family just celebrated Dorothy's 90th birthday, at which the Artists Northwest organization honored her with a beautiful certificate of lifetime membership. It was, more or less, a typical family...one where love, optimism, creativity and music all played a significant part. Brad's older sister Linda, and older brother Alan, both took piano lessons. Brad played clarinet in the fourth grade, but after a year decided guitar was for him. Inspired by the Beatles, Brad began guitar lessons at age ten (under Doug White, at the Glenn Stead's highly-regarded Stead's Music Center in Bellflower, California). The following year he was awarded first place at the Southwestern Youth Music Festival for a guitar solo. Brad also served as an acolyte (AKA "candlelighter") at the local Methodist Church, played guitar in a garage rock'n'roll band, and his enthusiasm for music grew. At age 15, Brad was fortunate to become a protégé of the legendary jazz guitarist Joe Pass, a major influence in Brad's life and music. 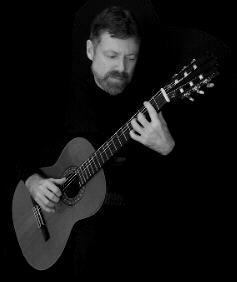 During college, Brad studied classical guitar under Vincenzo Macaluso, and at California State University, Northridge, where he took master classes under Dr. Ronald C. Purcell, with one master class taught by the maestro Andrés Segovia. After college, Brad sought to find his place with music. He taught guitar, and even did a variety of "temp" to make ends meet: Brad washed dishes in a hospital, drove a delivery truck, packing in a warehouse, and worked in a bank operations office. All the while, Brad studied, played gigs and composed music, although without a clear direction. Brad had been a fan of John Denver since "Leaving On A Jet Plane," -which Brad performed in a choir at age fourteen. He first saw John Denver perform live at the Universal Amphitheatre in the summer of 1973...Brad was immediately motivated to take a trip to Colorado the same month! 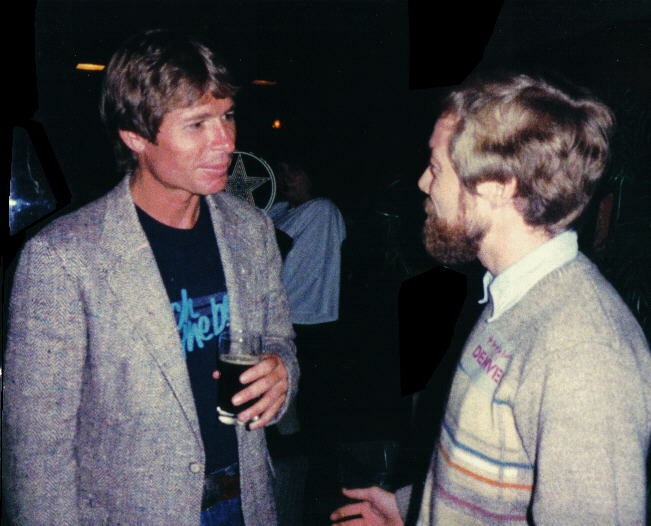 A few years later, Brad met Lee Holdridge, whose work with John Denver made an impression on Brad. "Lee is a fabulous composer and arranger. I'll always appreciate Lee, taking the time, and his encouragement to me as an aspiring composer." 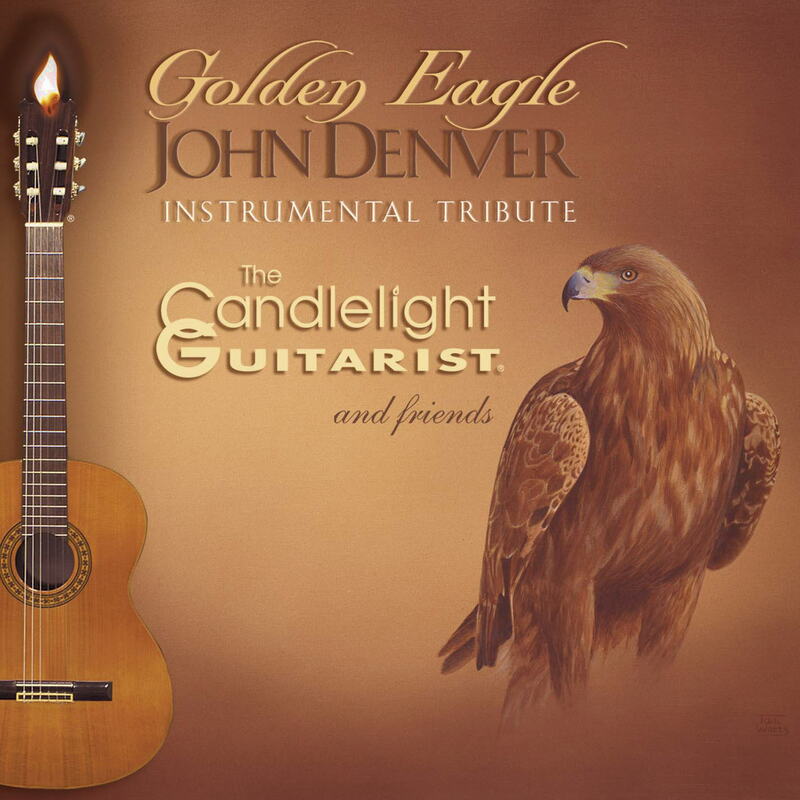 "John Denver was going through personal struggles at the time, and his two-hour, unaccompanied solo concert was quite poignant. After the concert, when I met John, he radiated warmth and goodwill, as genuine and kind as a person could be. His encouragement and inspiration gave me hope to find the path that lie ahead." 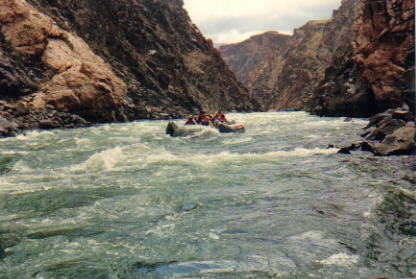 Brad's uncle Chan, in his mid-seventies, took a rafting trip through the Grand Canyon, officially working as "cook's helper" (he was a guest of the rafting company). "Uncle Chan was a victim of polio as child, but he never spoke of his handicap. He always exhibited a positive attitude and 'can-do' spirit." Moved by, both, his Uncle Chan's experience and meeting John Denver, Brad went on a rafting trip through the Grand Canyon. Not long after that, Brad solo-hiked to the summit of Mt. 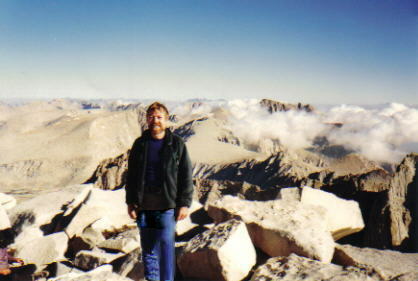 Whitney (14,505 ft., pictured at right) and the 211-mile John Muir Trail, in California's Sierra Wilderness. Through these treks, Brad re-discovered his own love of nature, and found inspiration for what was yet to come. 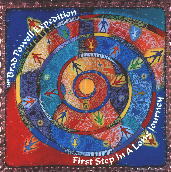 These experiences led Brad to record his first CD, The Brad Powell Expedition: First Step In a Long Journey . 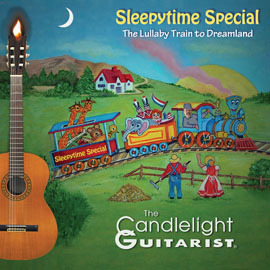 This eclectic CD features several vocalists, and a large ensemble of top L.A. session musicians (Lincoln Mayorga, Wayne Bergeron, Brandon Fields, Jim Hughart, Chad Wackerman, Julia, Maxine and Oren Waters, and others). First Step took seven years to complete and launched Brad's return to a full-time music career. First Step In a Long Journey (featuring Lincoln Mayorga on piano) . And features Brad's tribute to his jazz guitar mentor Joe Pass: Passalaqua Suite . In 1998, Brad drove across the U.S. in his nine year-old Jeep promoting his CD, and many radio stations (especially jazz, eclectic and college radio) played the CD. 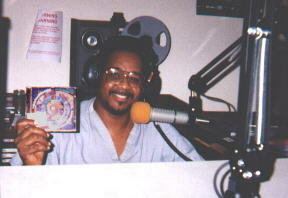 Shown at left: DJ Larry J, the host of the very popular "My Place" on KKFI 90.01, Kansas City--the first to play Brad's music on radio. Larry invited Brad on air, and played the track Robbie Bop. "he's a deft composer with a knack for intricate scoring...the horns are richly orchestral and the rhythms have a natural flow and swing, and Powell has assembled a team of top-notch players...to realise his stylistically diverse conceptions." Along the path of this journey, Brad was twice featured at the Hollywood Bowl: once performing Gerald Wilson's "Sonata for Guitar and Orchestra" with the composer conducting, and also under the baton of Richard Carpenter, in a performance of a suite of Carpenters hits. Brad studied composition informally under the guidance of David Rose ("Little House On The Praire"). Brad also composed background music for popular television shows, including Hill Street Blues and The 'A' Team, working with composers Mike Post and Pete Carpenter. In 1999, Brad's girlfriend was an esthetician who utilized candles in her work to create a soothing environment. 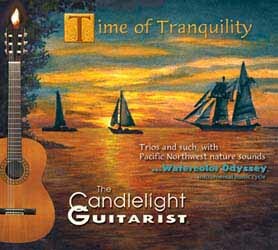 Candlelight was the perfect ambience, and it conveyed the character and theme of Brad's distinctive, relaxing guitar style...thus inspiring his trademarked name "The Candlelight Guitarist." In late summer of 2001, Brad began working on a series of compositions. Then, upon the events of September 11, 2001, Brad felt called to devote himself to creating music that might help people in their healing process. Brad reflects that "'Music for Rest & Renewal' was such an emotional and spiritual catharsis for me, I composed almost the entire album in two weeks." 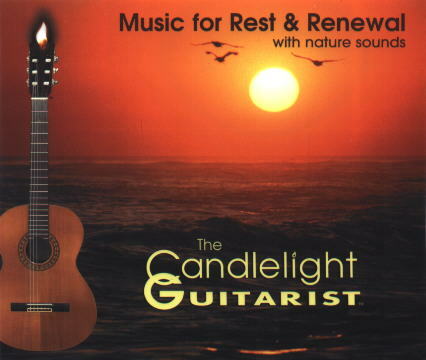 With the release of 'The Candlelight Guitarist: Music for Rest & Renewal', the response from listeners affirmed that Brad was blessed with a gift and a calling. "Having performed for many years, I find it a joy to connect with the listener. The performance is an experience we share. And like the listener's heart, the music can offer spirituality, romance, tenderness, and joy. When I record, the listener is right there with me in spirit." P.C.M.A. ~ Professional Convention Management Assoc. When not performing, composing or recordings, Brad is likely to be out hiking with his dogs Rusty, Taylor and Simon. Brad considers his "musical mission" to compose, perform, and record music that lifts up people, helping to make their day a little bit better. 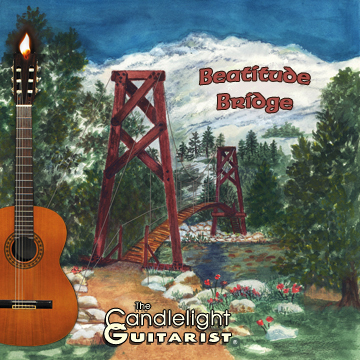 That's what The Candlelight Guitarist™ is about...lighting a musical candle! 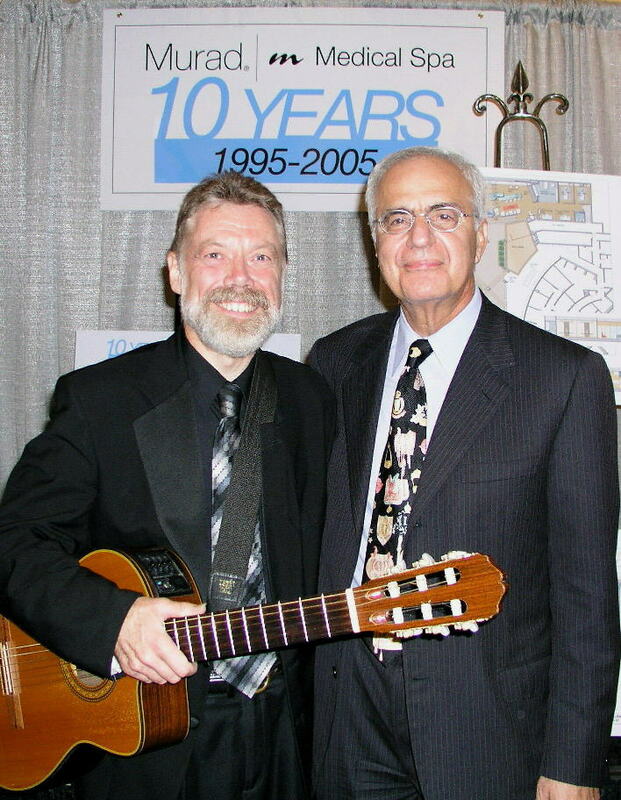 Brad with Dr. Howard Murad, founder of MURAD Skin Care products, after performing at the 10th anniversary of the Murad Medical Spa. 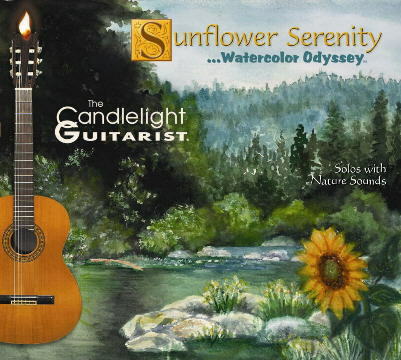 "The Candlelight Guitarist" (words, logo and "Guitar with Candleflame" image) is a registered trademark of Bradley Powell. is a registered trademark of Geofonica, Inc.